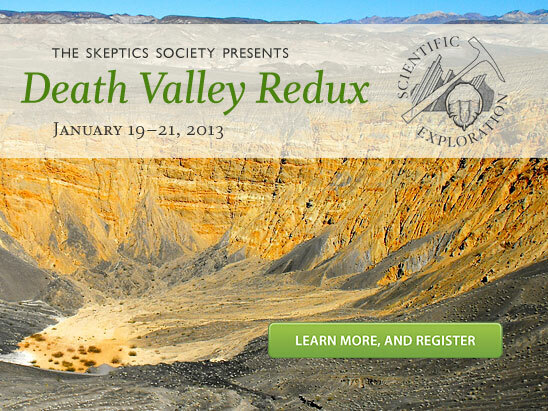 Next Geology Tour: Death Valley Redux (Jan. 19–21) 6 Spots left! A revolution in the scientific study of good and evil, Dr. Paul Zak’s new book, The Moral Molecule, answers such questions as: Why do some people give freely while others are cold hearted? 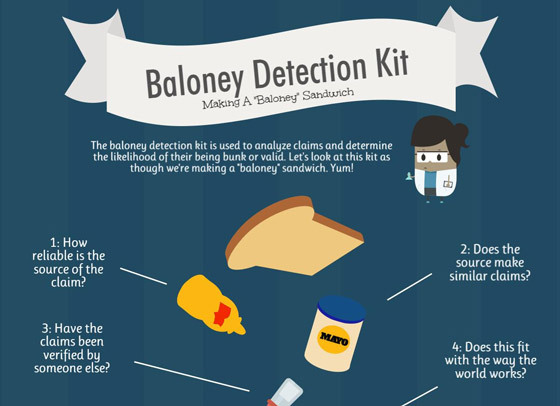 Why do some people cheat and steal while others you can trust with your life? Why are some husbands more faithful than others—and why do women tend to be more generous than men? Could the key to moral behavior lie with a single molecule? 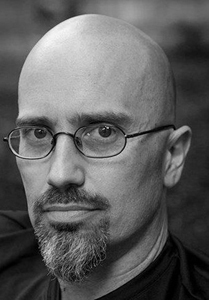 From the bucolic English countryside to the highlands of Papua New Guinea, from labs in Switzerland to his campus in Southern California, Dr. Zak recounts his extraordinary stories and sets out, for the first time, his revolutionary theory of moral behavior. 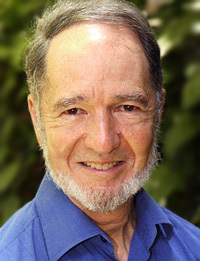 Mega-bestselling author of Guns, Germs, and Steel and Collapse, Dr. Jared Diamond surveys the differences between “traditional” societies and industrial or post-industrial societies, with an eye to the question: what can we learn from the former that can make the world we live in a better place for all of us? Tickets: $10 Skeptics Society members/Caltech/JPL community; $15 everyone else. Tickets may be purchased in advance through the Caltech ticket office at 626-395-4652 or at the door. Ordering tickets ahead of time is strongly recommended. The Caltech ticket office asks that you do not leave a message. Instead call between 12:00 and 5:00 Monday through Friday. In this episode of MonsterTalk, your hosts interview Dr. Todd Disotell on the recent press release regarding Melba Ketchum’s Sasquatch DNA research. 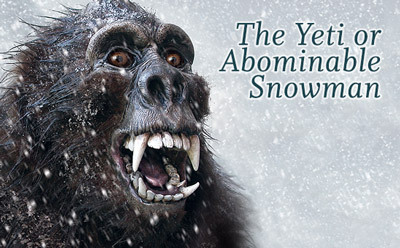 Disotell returns for the second time since his visit on the very first episode of MonsterTalk with news about Spike TV’s new Bigfoot show, Bigfoot DNA, science by press-release, and lots of other goodies. Congratulations to MonsterTalk for surpassing 1 million downloads! Get the MonsterTalk Podcast App (presented by Skeptic Magazine) and enjoy the science show about monsters on your handheld devices! Available for Android, iPhone, iPad, and iPod Touch. To get the app for iOS devices, download the free Podcast Box App on iTunes and then search for MonsterTalk within the Podcast Box app to listen to Monstertalk on your iPhone, iPad or iPod. For Android devices, simply install the stand-alone app. MonsterTalk was the 2012 Parsec Award winner for Best “Fact Behind The Fiction” Podcast. 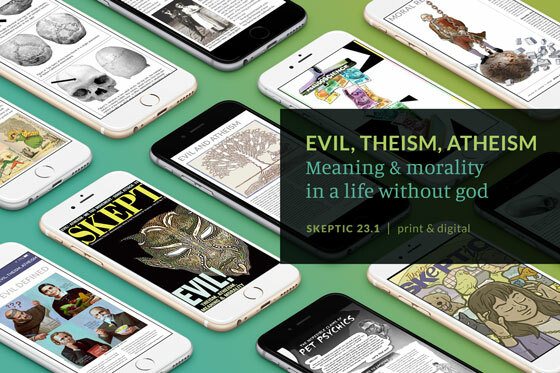 In Michael Shermer’s November ‘Skeptic’ column for Scientific American, he discusses morality in the context of the motivation of soldiers during combat. They do not just blindly concede control to authorities; instead they follow cues provided by their moral communities on how to behave. 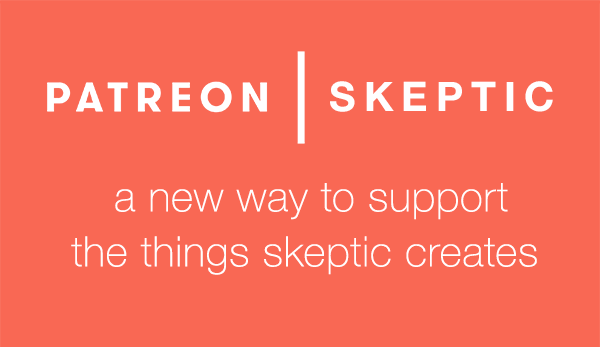 In this week’s Skepticblog, Michael Shermer reminds us about the hindsight bias in light of a recent chance encounter with his agent while travelling in Portland, Oregon. In this week’s eSkeptic, we feature an article by Peter Hancock about an apparently unexplained mystery that, once explained, turns out to be even more amazing than what any paranormalist or supernaturalist could conjure. 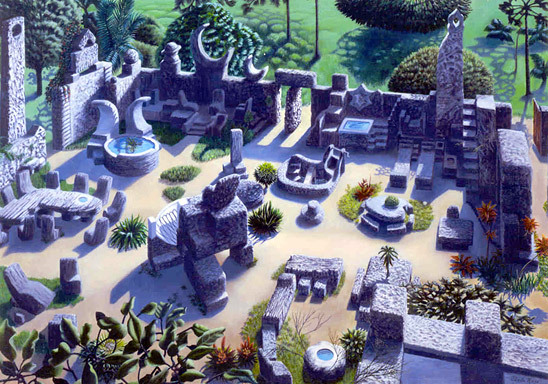 Figure 1: A view of the Coral Castle with its various structures and vignettes. How quickly it is that “how can he do that?” becomes “he couldn’t possibly do that,” which then morphs into “a mysterious entity or force must have helped him do that.” In reality, it is quite remarkable what one human being can achieve when armed with ingenuity, perseverance, the right tools, and time. In fact they can even build themselves a castle. And, that’s exactly what Edward Leeskalnin did in one of the most curious and intriguing of all these human constructions. It is located in Homestead, Florida,1 just south of Miami. Homestead bills itself as the “Gateway to the Keys,” which are an archipelago of islands that stretch away to the southwest, strung out along Highway 1 and ending in Key West. Homestead is perhaps best known as the site of devastation wreaked by Hurricane Andrew on 24th of August, 1992.2 Much of that destruction resulted from the vulnerability to hurricane-level winds of the wooden trailer homes which, at that time, characterized the area. However, there was one place in Homestead that was well made to withstand the ravages of such natural disasters, and indeed it survived the storm virtually untouched. This monument is commonly known as the Coral Castle. Certainly a regional, and arguably a national tourist attraction,3 the Coral Castle is presently located on a site adjacent to Highway 1, although the current location is not its original one. Even a brief glance at the structure is enough to show you that it is no small achievement. However, as the newspaperman and author Damon Runyon would have remarked, “a story goes with it,” and what a story it is. In fact, the conception, origin, and manufacture of the Coral Castle are so amazing that it is slowly turning the place into the stuff of myth. So here I look at both the history and the emerging myth. At one time, Edward Leedskalnin’s structure was known as “Rock Gate Park,” with the majority of its construction taking place between the 1920s and the 1950s. Much of the work on the larger components of the monument were actually accomplished in the first few years of this period. Edward Leedskalnin was born in Latvia on August 10th, 1887 and the crucial event of his early life occurred in 1913 when he was just 26 years old, when he was reportedly jilted on the eve of his wedding by his fiancé, Agnes Scuffs (Skuvst).4 He referred to her as “Sweet Sixteen,” by which he meant her purported virginal state, not her chronological age.5 Although she told him the reason for the breakup was because he was too old, Ed suspected later that it was because of his poverty and limited education, which offered only impoverished future prospects. From this point of view the impetus for the Coral Castle is very much like that for the Taj Mahal—a tribute to lost love. However, from Ed’s own account much of the motivation seems directly related to lost sexual innocence. Following this rejection, Ed emigrated to North America where he worked at a variety of different occupations. This included, as we shall see, critical experiences as both a logger in Canada and a ranch hand in Texas. Both of these occupations were of arduous physical demands and provided the diminutive Leedskalnin with prolonged acquaintance with highly strenuous manual labor. Despite these experiences, Ed Leedskalnin could never be described as a muscular giant. He was estimated to be only approximately 5 ft. tall and weighing between only 100 and 120lbs. Indeed, its Ed’s diminutive size that partly adds to the legend and the myth and you will find a life-size cardboard cut-out of Ed in the Coral Castle today to remind you of this fact. 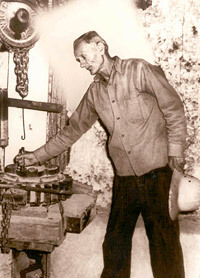 Figure 2: Edward Leedskalnin with some of his extensive, homemade equipment with which he quarried and fabricated the Coral Castle. Sometime toward the end of the First World War, Ed received another blow when he was diagnosed (most probably incorrectly) with tuberculosis. In searching for a suitable climate for his recovery, Ed relocated to southern Florida and bought a one-acre lot for $12 in Florida City, ten miles south of the Coral Castle’s present site in Homestead. It was there that he began his sculpting efforts. Even though they were created on a very large scale, many of Ed’s sculptures were essentially utilitarian in their general nature. Using the local coral, which he quarried on-site, Ed sculpted things like rocking chairs, tables, baths, and couches, which he could actually use as well as display. The early motivation for his work he personally attributed to his desire to build a castle for “Sweet Sixteen,” for his now long lost but never forgotten love. As we see them today, most of the carvings have a clear air of domesticity about them that supports the idea that the Castle was built primarily as a shrine of living remembrance. There are beds for the fantasized married couple and their three children, all carved in stone. There is a children’s play area and corners for both gossip and repentance. Figure 3: A corner of the Coral Castle showing for gossip and repentance. Leedskalnin had very fixed ideas on the teaching and raising of children, even though he never had any himself. Between 1936 and 1937, Ed decided to move his castle. By then it was composed of most of the structures that can be seen in Homestead today. Various reasons have been given for this move. One of Ed’s biographers, Orval Irwin, claimed that Ed realized no one would come to his remote site just outside the sleepy community of Florida City to see his creation. In contrast, the present printed tour guide claims the complete opposite, that indeed Ed was a very private person and moved to avoid being near a new sub-division that was planned near his existing site. Some of the more recent and fanciful accounts concerning the Coral Castle claim that Ed had made a mistake in his original alignment with so-called “earth energies” and had to relocate the whole edifice to the proper focus of these esoteric forces. 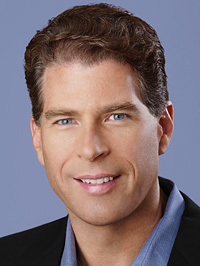 Whether Ed had an eye for future financial profit, desired greater privacy, or was seeking to tap more accurately into unknown “earth forces,” he was now faced with the problem of moving over a thousand tons of sculpture to the new ten acre site composed of the cheap land he had acquired in Homestead. It is at this juncture in time that the mythical qualities first begin to emerge in earnest. Up until then, Rockgate Park (as it had been known) was a remarkable yet very terrestrial phenomenon. The transition associated with the move proved pivotal in changing perceptions. Since Ed was such a private man he used virtually no helpers for this astounding relocation process.6 Reportedly by himself, he would load a trailer that was subsequently towed by a friend’s tractor to the new site. Under the cover of darkness, Ed would then unload the trailer by himself and prepare for the next load. It is the case that because no one generated a written account of having seen Ed performing these feats of disassembly, loading, unloading and reassembly that the subsequent mythos of the place began to take off. In an anecdotal story, some local teens are supposed to have seen Ed in control of “floating” blocks of coral, although as we shall see there is an eminently rational explanation for such observations. At the new site, Ed had to re-erect all of his major pieces and then subsequently built a curtain wall around his castle from coral sections that were eight feet in height, four feet in width and three feet thick, which were quarried at the new location. Each section of wall is reported to weigh 13,000 pounds, or just less than six tons. Ed built his Spartan living quarters in a corner turret to the castle. His tool room was located below while his bedroom was the single room above. 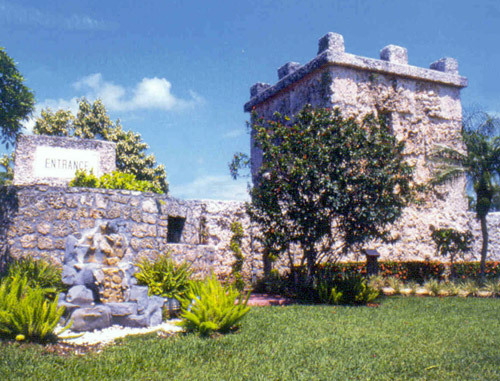 Figure 4: A view of the present front entrance to the Coral Castle showing sections of the curtain wall and the turret that is composed of two rooms, a lower one for tools and storage and an upper, living room for Ed Leedskalnin. Figure 5: Ed at work with what can easily be seen as a tripod form of ‘A’ Frame, together with gearing designed to permit the movement of large masses. 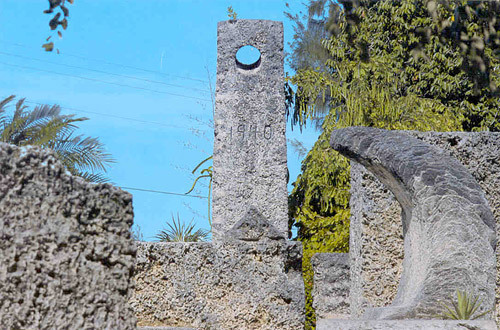 There are many interesting individual pieces that make up the fabric of the Coral Castle. Probably the largest piece is the Obelisk. It stands 40 feet above ground with some several additional feet further below the surface and is estimated to weigh 57,000 pounds, or just over 25 tons. However, amongst the whole collection, perhaps the most interesting and most memorable is the “nine-ton gate,” most probably the original gate of the “Rock Gate Park.” The stone block which composes the gate measures 80 by 92 by 21 inches, weighs approximately 18,000 pounds, and when originally seated, turned at the touch of a finger. It was observed that even children as young as three years old were able to rotate it, although the present day version is now a little harder to turn. Since the stone clears its outer frame of rock by much less than an inch it was, for a long time, difficult to establish exactly how this “gate” had been balanced. Again, this engineering feat added not simply to Ed’s reputation but was further fuel to the belief that some mysterious forces must have been employed. Eventually, many years after Ed’s death in 1986, the stone ceased to rotate and had to be replaced by a contract engineering firm. When dismantled for this maintenance, the “secret” was revealed. Ed had used ball-bearings and an old truck bearing to create this remarkable effect. The original apparatus is still visible in the Castle’s gift-shop today. Figure 6: The nine-ton gate. Perhaps the most memorable of all of the elements of the Coral Castle since, in earlier days, it was reported that a three-year old child was able to rotate the gate with no difficulty. The secret of its functioning was only revealed years later when the ball bearings upon which it rotated had to be replaced. The original, and surprisingly small mechanism, can be seen in the Castle gift shop today. When visiting the Castle we immediately try to imagine ourselves performing such feats and quickly dismiss our capabilities to do so. Then we consider the disadvantage of Ed’s diminutive form, since surely such a structure required enormous muscles exerting much physical energy to erect. How is it that so much work could be generated by such a diminutive individual? Finally, we consider Ed’s impoverished education and the drawbacks that we may perceive that a limited formal schooling would bring. As we have seen, Ed moved his major sculptures and this took approximately one year to complete. As was his usual working habit, Ed would load the moving trailer himself during night time hours. When a particular load was ready (after several nights of effort), Ed’s farmer friend, Bob Biggers would tow the trailer to the new site, position it according to Ed’s instructions then wait for a call for the next trip. Part of the process of myth-making has changed Ed’s move from being done at night to the whole move to being accomplished in one night. Moving all of this in one night might well need mysterious powers, however, persistent and prolonged physical labor combined with native engineering expertise over one year period represents a far less appealing basis for myth. 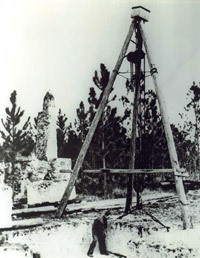 Figure 7: The styled “Polaris Telescope” is 25 feet high and weighs over 20 tons. It is one of the features that is explicitly related to astronomical interests. The on-site literature associated with the monument also informs us that Ed was very interested in astronomy.7 Indeed, it is clear that several parts of the monument are designed for astronomical observations. 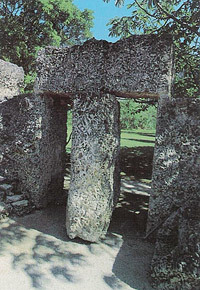 In one such pamphlet, Ray Stoner compares the Coral Castle with other “megalithic” sites such as Stonehenge in England, the pyramids of Giza in Egypt, and Teotihuacan in Mexico.8 Given this nominal association with sites traditionally linked to mysterious and mythical properties, it is now a short step to a speculation concerning the “supernatural” capacities that Ed must have invoked in the Coral Castle’s construction. Quickly we go from engineering A-frames to esoteric forces and anti-gravity control. Consider the following quote from a B.J. Cathie, a captain flying with the National Airways Corporation, who asserted that: “The final check of the distance between the Coral Castle and grid pole in the north dispelled any doubt about the site being in an ideal position to allow Leedskalnin to erect huge blocks of coral with relative ease. Measurements from all major points gave the geometric harmonics necessary for the manipulation of anti-gravity.” From the invocation of anti-gravity we immediately find Ray Stoner proposing that Ed may have been able to accomplish his work because he was actually an extra-terrestrial! 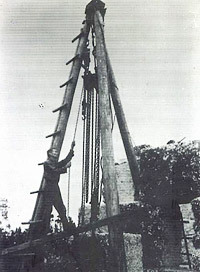 Figure 8: A picture of Ed Leedskalnin in the process of moving one of the blocks that compose the present day Coral Castle. The only forces evidently at work here are the known principles of engineering. That one man could achieve so much using these principles is wonder enough. Invocations of mysterious, esoteric earth energies are unnecessary. Ed’s experience with moving large scale, unwieldy objects as part of his logging career would certainly stand him in good stead. In this respect, his physical stature need be no bar to achievement since, as Leedskalnin himself rightly noted, it is the application of the principles of leverage, not the size of the individual that is crucial. In claiming to know the “secrets of the pyramids” Leedskalnin might very well have understood the principles of levers and fulcra. Recently, Benjamin Radford noted that: “There is one detail that virtually all agree on: since the reclusive Leedskalnin worked mostly at night and away from prying eyes, no one actually saw him move the coral.”10 He rightly observed, however, that there exist a number of photographs showing Ed moving the large coral blocks. Such photographic evidence shows that Ed used precisely these forms of technique, including the use of sophisticated 3-block metal chain hoists.11 This apparatus, which Ed is shown operating, is illustrated in Figure 8. In the impoverished observational conditions of night, it might well appear to a naïve observer that a lighter-colored coral block being moved in this fashion might well appear to “float,” rather than being obviously supported by a set of chains and pulleys. Perhaps such a possibility lies behind the observation of Ed by some inquisitive Floridian teenagers? Since the attraction was most probably Ed’s primary source of income by that time, there would be perhaps both financial and privacy reasons why Ed would not disillusion them. Lest some should now be tempted to see Ed in the light of an untrammeled hero of rational engineering, it is worth considering a few of the observations from one of his own texts that to today’s ear sound positively grinding.12 “It is not sound to allow the weaklings to vote. Any one who is too weak to make his own living is not strong enough to vote, because their weak influence weakens the state and a degenerated state cannot exist very long.” (p. 24). Or, “A normal male is always ready to strive for perfection, the female is not. It is not only with human beings, it is the same with every living thing.” (p. 8). Ed Leedskalnin was most certainly a man of his own time and place. Figure 9: A photograph of Ed conducting a tour while standing in front of the feature known as the crescent moon. As represented in the present references, much of the information that can be gleaned about the Coral Castle is given in privately published memoirs of some of Ed’s visitors,13 combined with a number of pamphlets from Ed himself that appear to be available only from the attraction’s gift-shop. Reliable information is rather difficult to come by. Growth of myth is always more prevalent in circumstances that show a dearth of factual information. Nevertheless, the Coral Castle is a most interesting monument. It sits in Homestead today and for a few dollars admission fee is open to the inspection of anyone. Founded in the fixated emotions of a solitary and lonely man, it has burgeoned into a significant tourist site and a going financial concern for both its original builder and subsequent owners. Many attractions require the boost of showmanship, and while the Castle is startling enough in itself, there is always the subtle temptation to add the arcane and mysterious to provide just that little extra that attracts crowds. That Leedskalnin achieved this monumental feat by himself, using known engineering principles, is demonstrable. No additional source of esoteric forms of earth energy need be invoked,14 and it is disingenuous to continue to protest that “the question that has perplexed engineers and scientists for decades is how such a tiny, uneducated man single-handedly built such a place.”15 Potentially the foregoing observations help in dissolving the growing but highly problematic mythical explanations of Ed’s achievement. That the structure became more to its builder than simply an ersatz representation of a European castle in which to house his lost love is evident from the several components that focus on astronomical observations. Given Ed’s Spartan living conditions it is not unexpected that he would find some pastime for the long evenings alone. Ed clearly had a manifest degree of practical knowledge, mixed with a number of far less conventional ideas.16 It is tempting to attribute the very special structure we see today to those more unusual facets of Ed’s understanding since it is virtually unique. While it is natural to make this assumption, the more prosaic linkage, between the Castle’s fabrication and known construction techniques is far less appealing and unfortunately promises to sell fewer tickets. However, it is one to which we must adhere until further proofs of the intervention of supernatural agencies are thoroughly and unequivocally demonstrated. 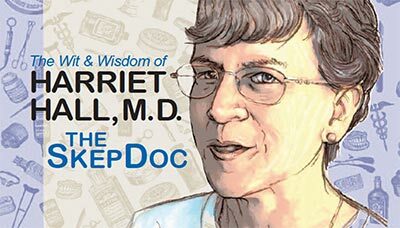 To date, no such proof has been forthcoming, at which skeptics may remain unsurprised. See Grimes, D., & Becnel, T. 2003. Florida curiosities. Guilford, CT: Globe Pequot Press, 153-156. See also Pohlen, J. 2004. Oddball Florida. Chicago Review Press. Coral Castle (undated). English Tour Guide. 28655 South Dixie Highway, Homestead, Florida, 189-190. Moran, M., & Sceurman, M. 2004. Weird U.S. New York: Barnes & Noble Publishing, pp. 158-160. See also: McClure, R., & Heffron, J. 2009. 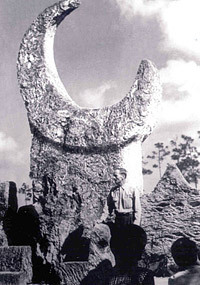 Coral Castle: The Story of Ed Leedskalnin and his American Stonehenge. Dublin, Ohio: Ternary Publishing. See Stansfield, W. 2006. “The Enigma of the Coral Castle.” Skeptic, 12 (2), 22–29. See also: Stollznow, K. 2010. “Coral Castle: Fact and Folklore.” Skeptical Inquirer, 34 (1), 49–53. Billy Idol’s song “Sweet Sixteen” was inspired by Ed Leedskalnin’s experiences. See a video tour of the Castle with this sound track. Anonymous. 1939. “Ed is Doing a Colossal Job of Moving, But he Wants no Help Thank You.” The Redland District News, July. Irwin, O.M. 1996. Mr. Can’t is Dead: The Story of the Coral Castle. Self-Published. Stoner, R.N. 1983. The Enigma of the Coral Castle. Bradford Institute of Ultra Science. Cape Coral, Florida. See the collection of books: Leedskalnin, E. 1936. A Book in Every Home. Privately Printed, Homestead, Florida; Leedskalnin, E. 1945. Magnetic Current. Privately Printed, Rock Gate, Homestead, Florida. Radford, B. 2006. 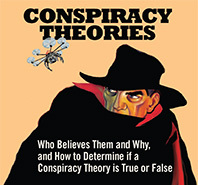 “Mysteries of the Coral Castle.” Skeptical Inquirer, May/June, 25. See: Thomson, P. 2005. “Coral Castle.” Ancient History, Fact or Fiction. Peter Thomson, 1 Jan. Web. 24 Jan. 2010. See Texts referred to in note 10 and 17. Coral Castle. 2000. Coral Castle: An Engineering Feat Almost Impossible to Believe. Coral Castle, 28655 South Dixie Highway, Homestead, Florida. Diaz, A. 2005. 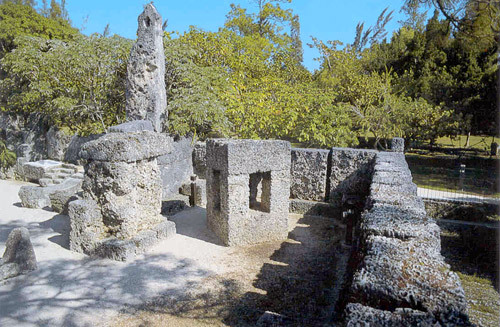 “Florida’s Mysterious Coral Castle.” Mysteries, 3 (4), 65–70. Leedskalnin, E. 1945. Mineral, Vegetable, and Animal Life. Privately Printed, Rock Gate, Homestead, Florida. Join us for a fun three-day trip (January 19–21, 2013) from Las Vegas to Death Valley to Red Rock Canyon this coming MLK weekend! 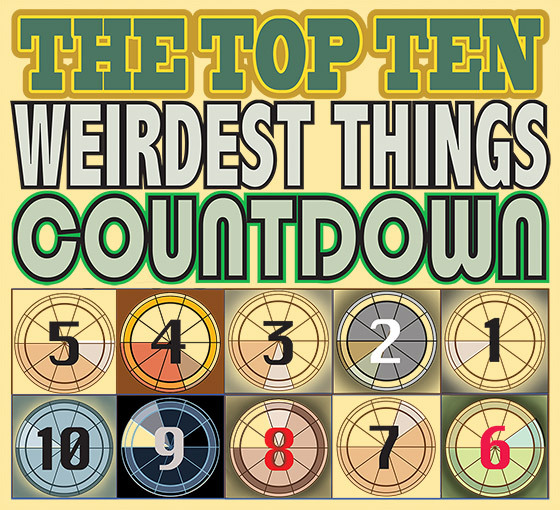 Only 6 spots left! Register now.